There is a new dining option at Marina Bay Sands that does not break your bank or require you to win a Royal Flush to fund the meal! 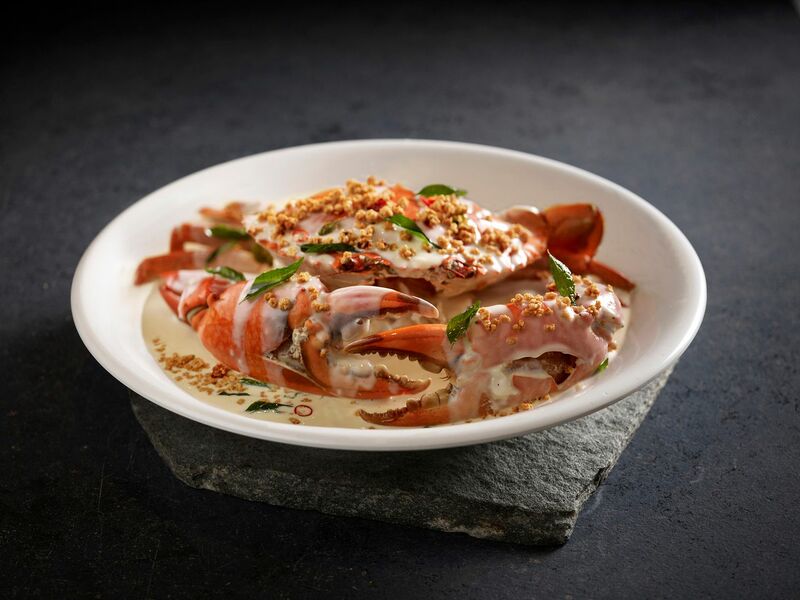 Seafood Paradise, a household name in the zi char scene has uprooted from a coffeeshop in Defu Lane to join other celebrity big names on level 2 of The Shoppes at MBS. Foodies who have been making that pilgrimage to the dingy industrial park to satisfy their cravings for chili crab or butter crab at Seafood Paradise can now look forward to licking their fingers in a cushier environment. 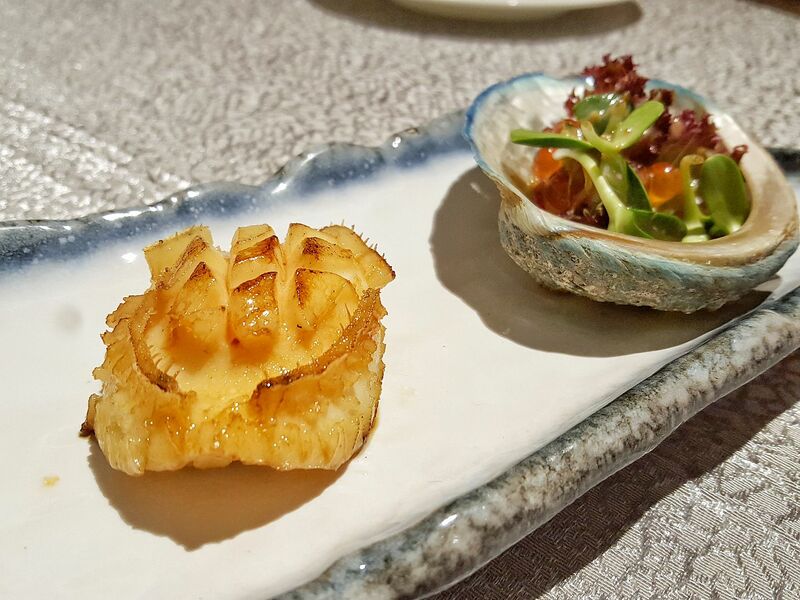 We worked up our appetite with the Pan-fried Live Australian Abalone. The lightly seasoned whole abalone was tender with the right amount of chewiness while retaining the rich seafood flavor and was certainly a good way to kickstart the meal. We really enjoyed the Poached Canadian Live Clam with Chinese Wine in Claypot. 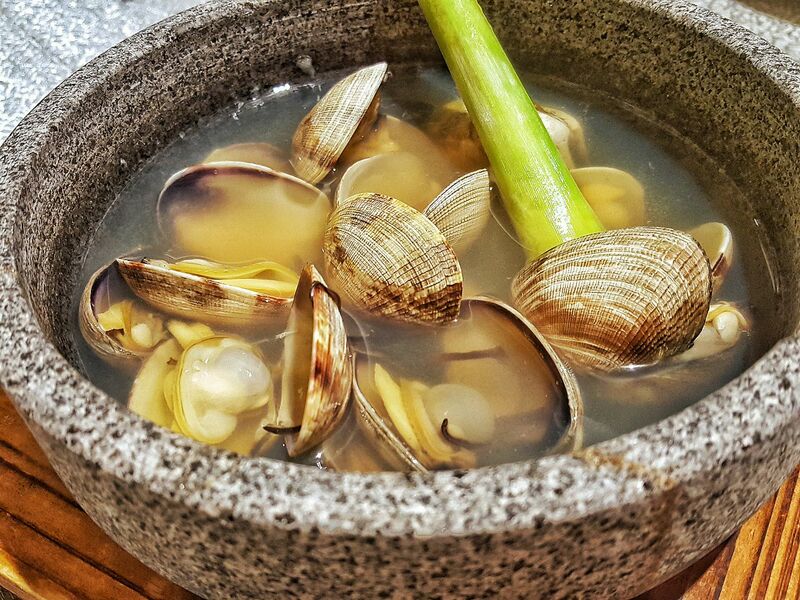 Juicy, sizeable Canadian clams are poached in a mixture of three Chinese wines and served with a dainty lemongrass stem in a claypot. The heady aroma of the Chinese wine first hits you, and before you know it you will be asking for refills of the broth! Our favourite dish of the night could possibly be the Crispy Kang Kong topped with Cuttlefish. 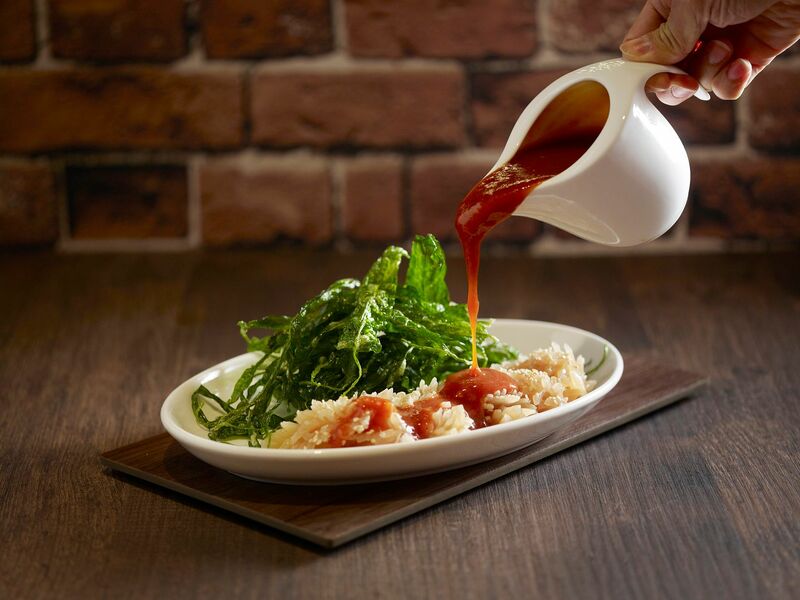 Here at Seafood Paradise, they have given a twist to the ubiquitous zi char dish by coating kangkong leaves in batter and deep-frying them individually. We predict that these kang kong chips will be the next big thing on the food scene. You know your fish is going to taste really fresh when it was still swimming blissfully in its tank moments before your order is placed. 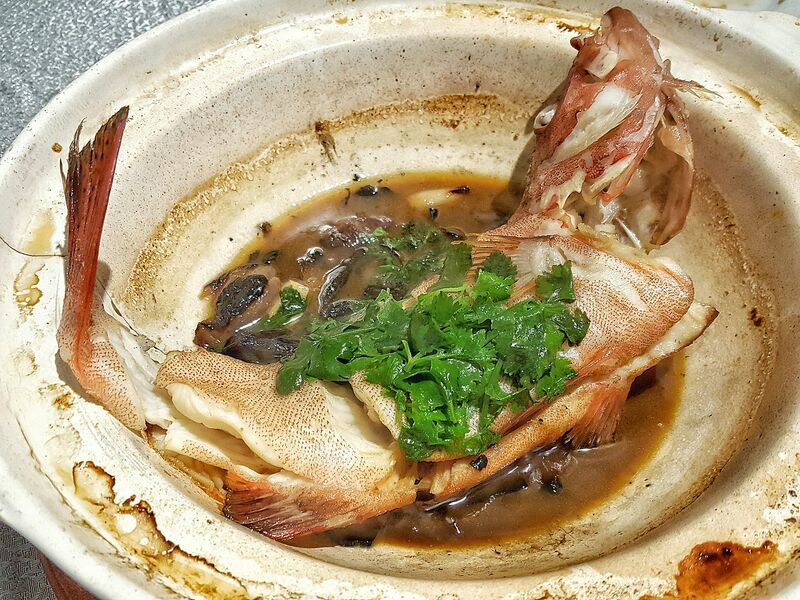 Of course, you shouldn’t mar the flavors with heavy sauces and the Braised Jade Perch with Supreme Soya Sauce in Claypot is a good way to enjoy the fish. Crab lovers will be spoilt for choice here- both by the variety of crabs available (Sri Lankan, Dungeness, Alaskan king crabs were available on the night we visited) as well as the method of cooking. 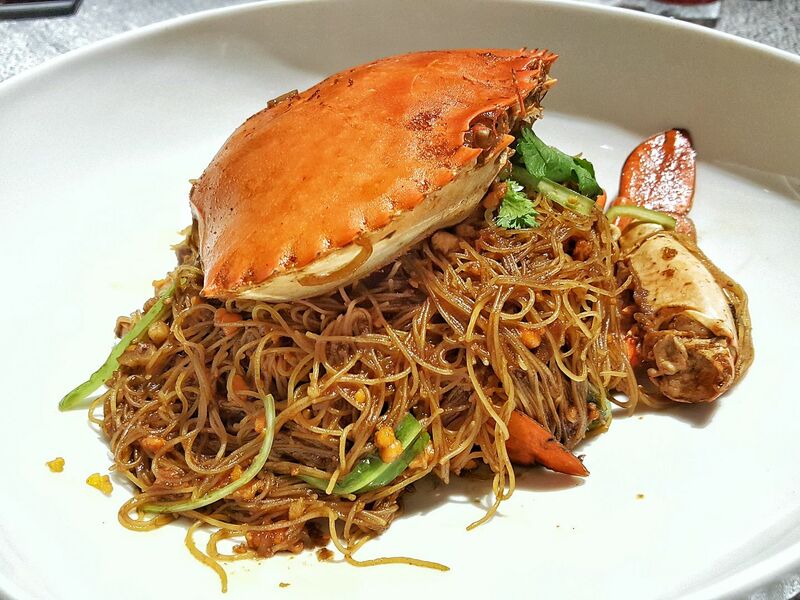 We highly recommend the Wok-fried Bee Hoon with Sri Lankan Crabs. The bee hoon, plumped up with the lovely juices of the crab, was flavorful and brimming with wok-hei. The crab meat was sweet, and balances the peppery taste of the beehoon. One of the signature dishes of the restaurant is the Signature Creamy Butter Crab topped with coconut crumbs and it isn’t hard to see why. The butter sauce was creamy but not cloying or unctuous, and we couldn’t help mopping up the sauce with the deep-fried mantous. We also liked the coconut crumbs which delivered extra texture and fragrance to the dish. 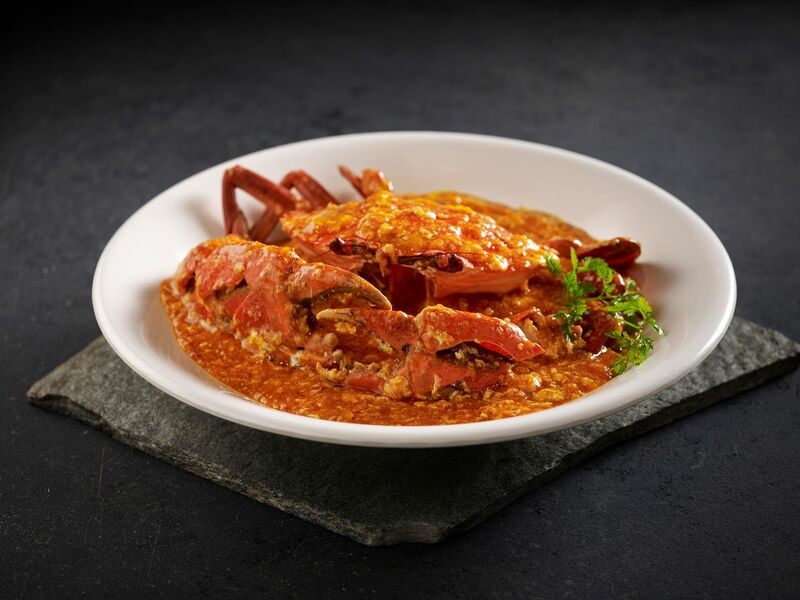 While chilli crab can be found everywhere in Singapore, what we liked about the version here is that they are not too heavy handed with ketchup, so the sauce is the right balance of spiciness and tang. 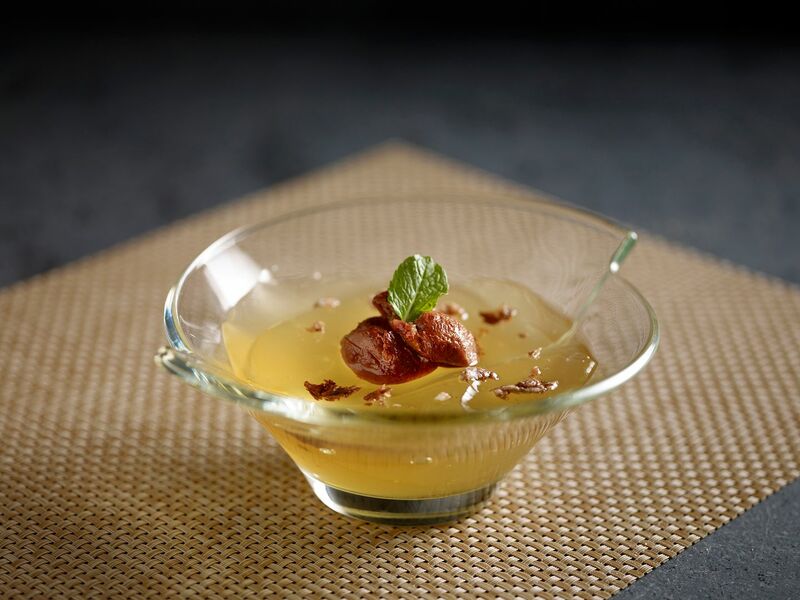 To wash down all the rich flavors, end your night on a sweet-sour note with the chilled lemongrass jelly in lemonade and sour plum juice. Having been dining at the original Defu lane branch since they first started as a zi char stall in a coffeeshop, we are wary that a move of this scale will certainly mean an upscale of their menu prices as well. Fortunately, prices have been kept comparable to other seafood restaurants, and the quality of food remains top-notch. Seafood Paradise at MBS is a good example of restaurants continually renewing and improving themselves while not forgetting their roots!